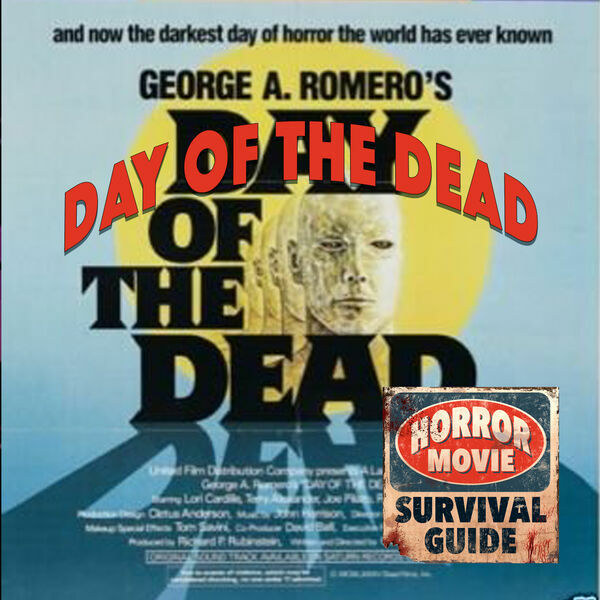 Horror Movie Survival Guide - Day of the Dead "Choke on Them"
Day of the Dead "Choke on Them"
George Romero's final film in his "Dead" trilogy, following Night and Dawn, this film is a perfect continuation of the zombie apocalypse and where humanity winds up. We love that Romero is more concerned with the ramifications of a zombie takeover on the humans than on the creatures themselves. A fantastic film.